Halcottsville, NY - Trout Unlimited, in partnership with the New York State Department of Conservation, is tracking trout on the East Branch Delaware River. Trout are being tagged and tracked as part of the East Branch Delaware River Trout Habitat Improvement Project (HIP). The HIP project is funded by the Delaware County Soil and Water Conservation District as part of the New York City Department of Environmental Protection Management Implementation Program. To track the fish, Radio Frequency Identification (RFID) units have been installed at several locations above and below Wawaka Lake dam near the hamlet of Halcottsville, N.Y. The readers will also be installed at the mouths of larger tributaries near the dam. Tags are implanted into the trout using a minor surgical procedure. The tags communicate with the RFID units using radio waves. During the study 1,400 stocked and wild brown, brook and rainbow trout will be tracked for 2-years. Tracking trout will provide insight to fish movement and migration patterns, providing insight into how stocked, naturalized and wild trout use the river, including how they may seek out cooler water during certain times of the year. The results will also be used to guide TU’s restoration efforts in the watershed. TU has already planted more than 780 trees and shrubs along the East Branch in partnership with the Arbor Day Foundation, the DEP and the DCSWCD’s Catskill Stream Buffer Initiative. 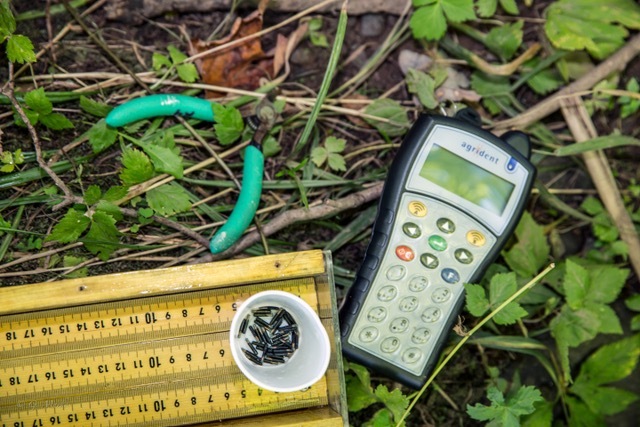 In addition to the planting efforts spearheaded by the Ashokan-Pepacton Chapter of TU, chapter members have been engaged in temperature monitoring upstream and downstream of the dam for the last three years.